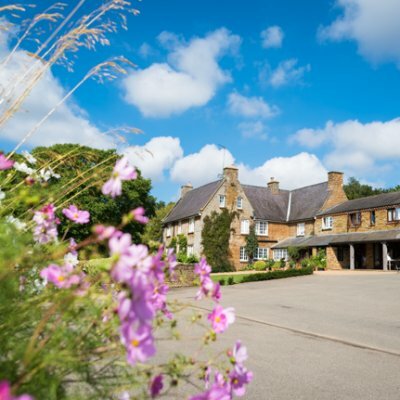 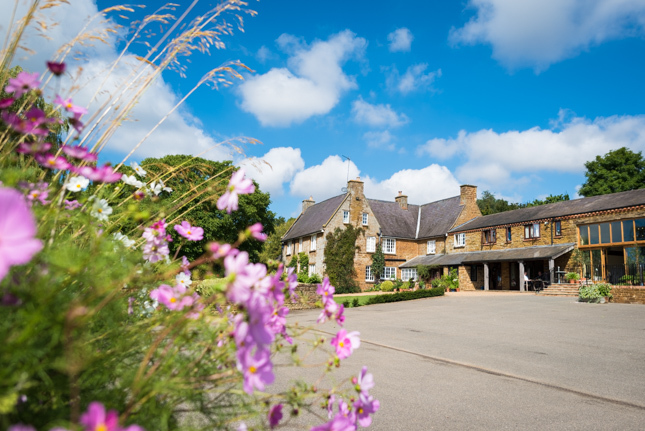  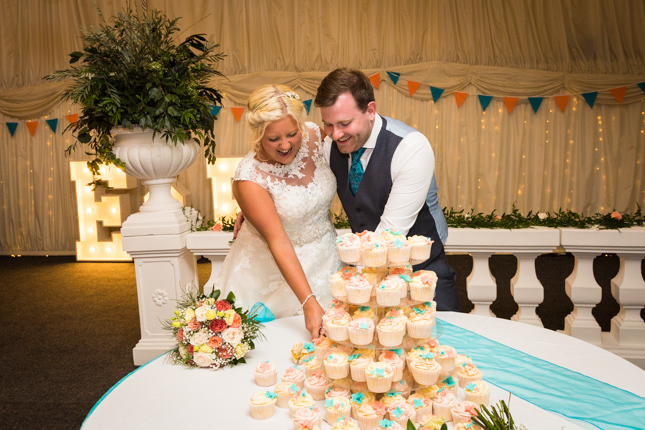 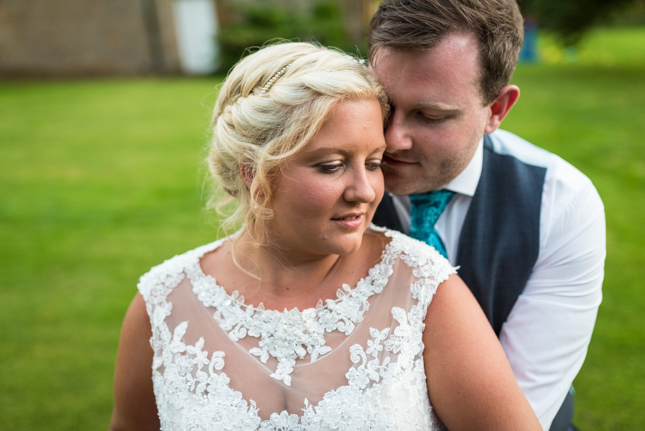 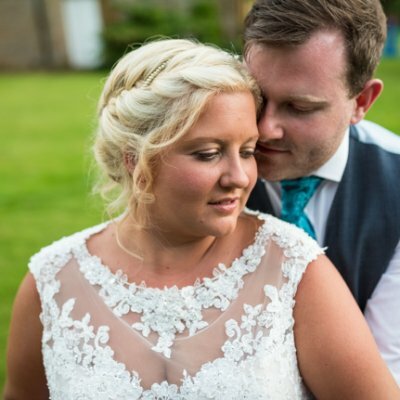 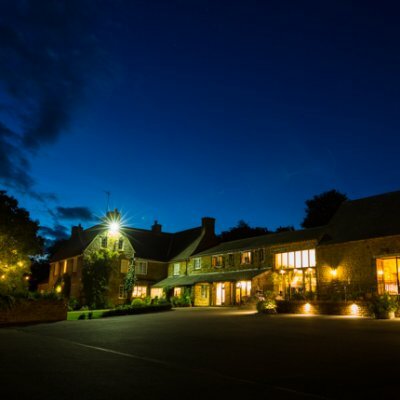 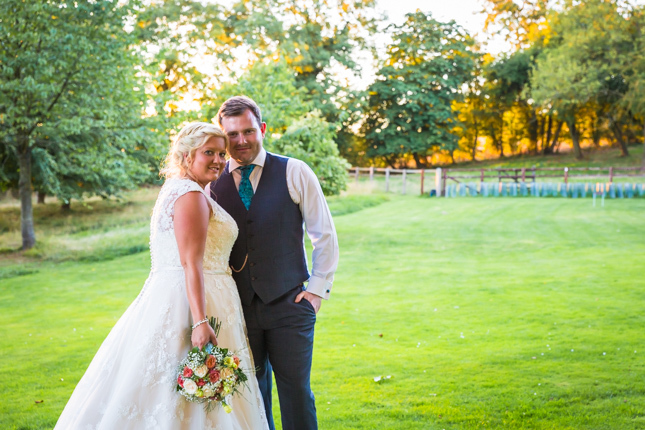 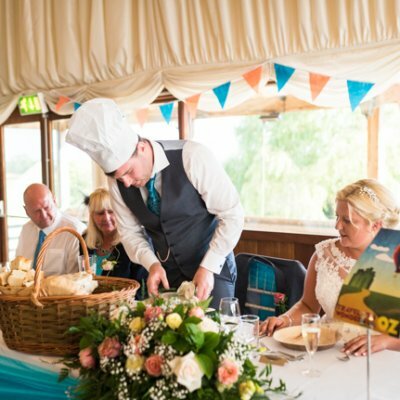 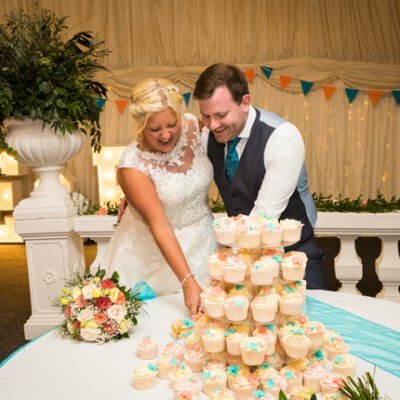 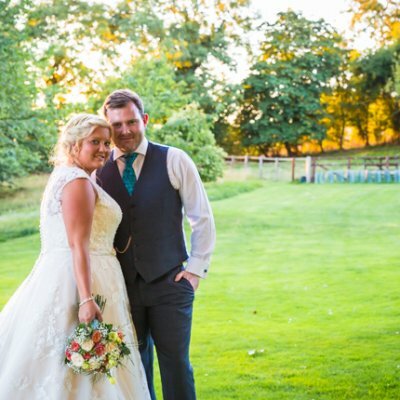 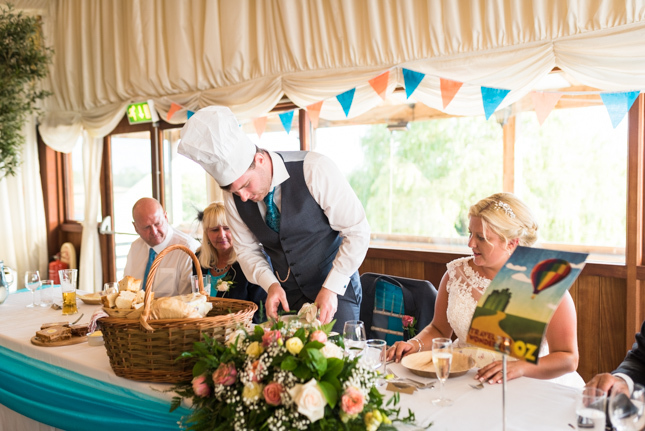 Emma & Paul chose to marry on a bank holiday in August. 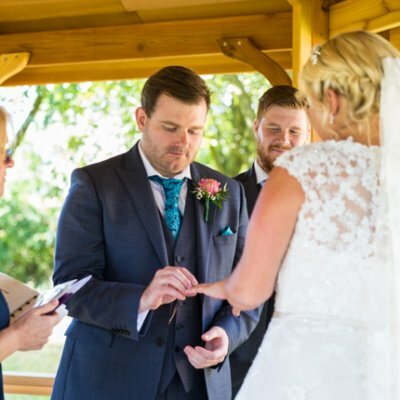 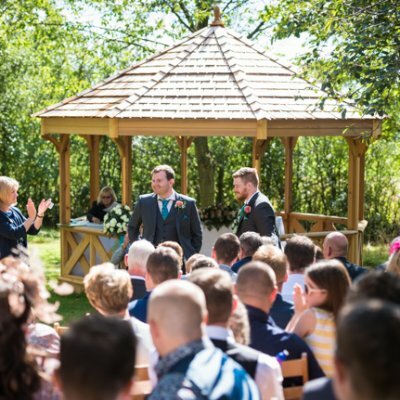 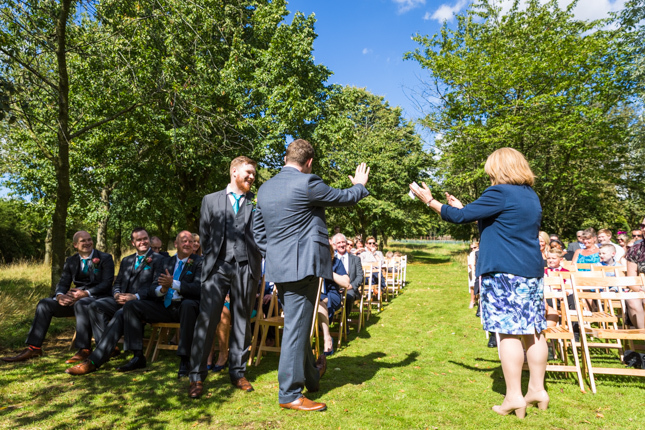 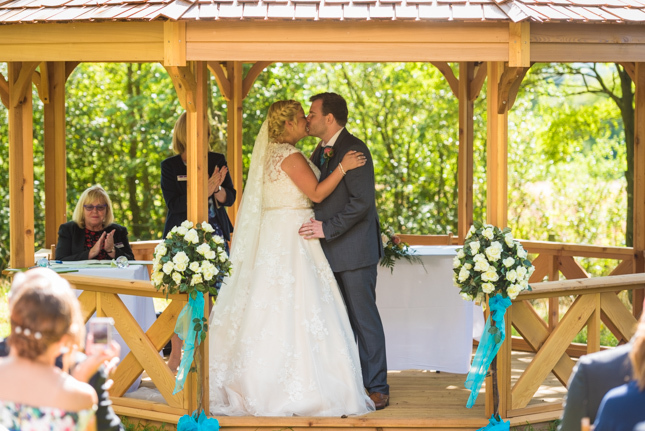 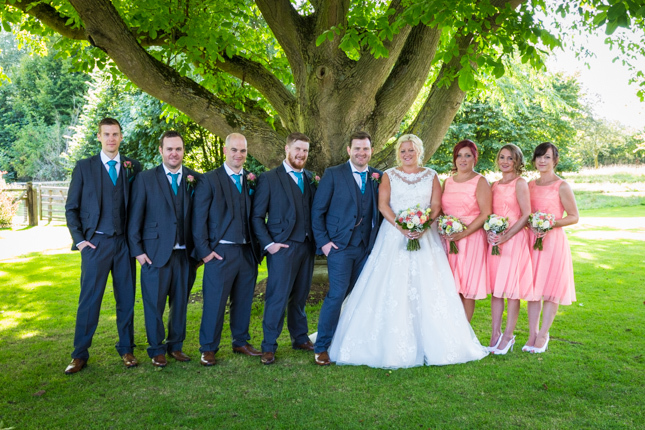 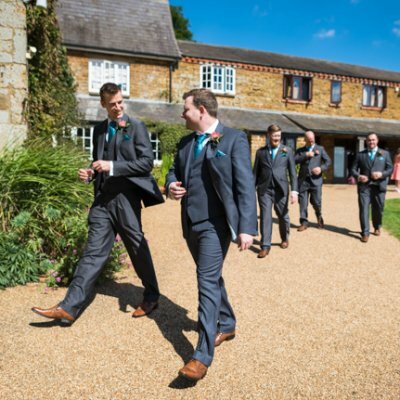 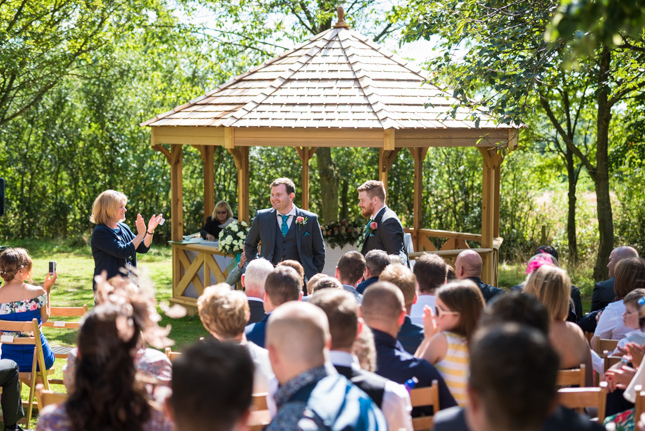 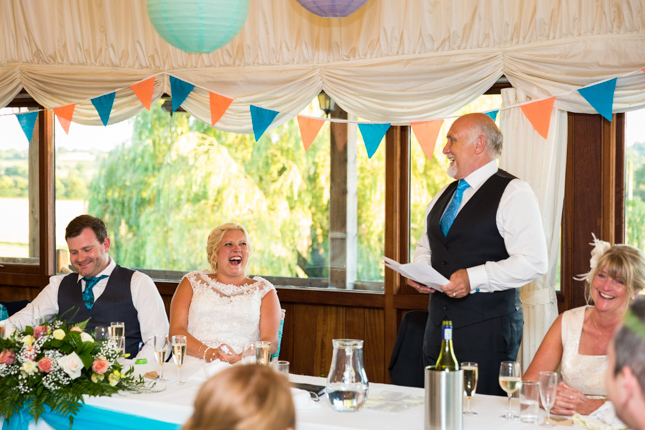 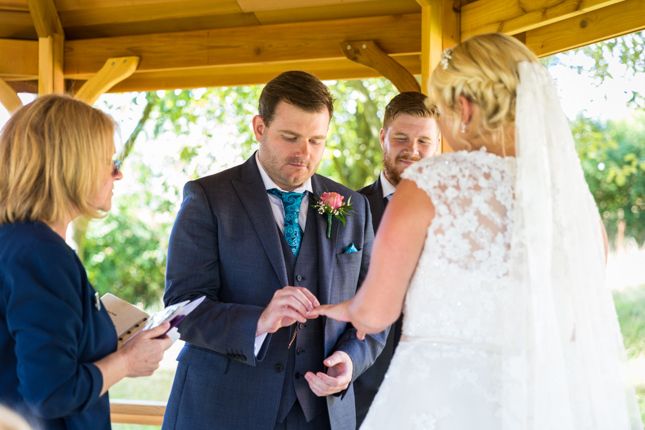 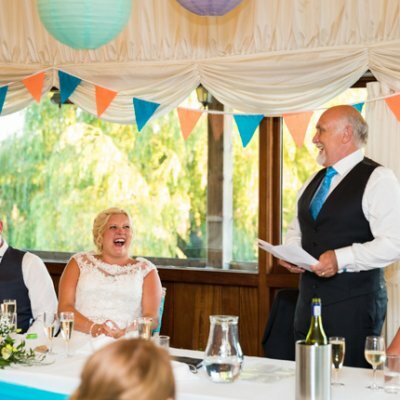 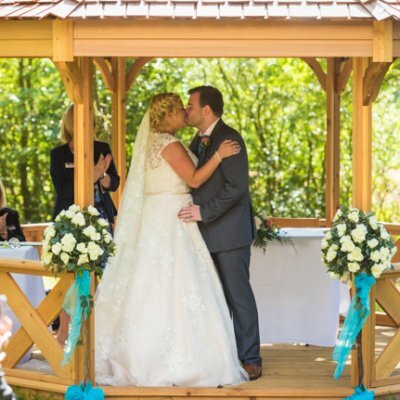 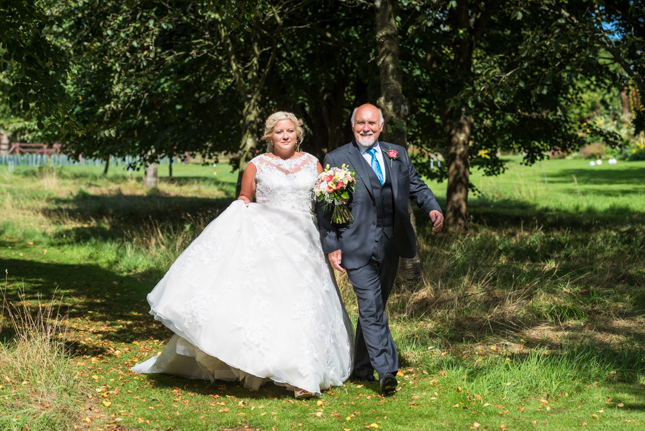 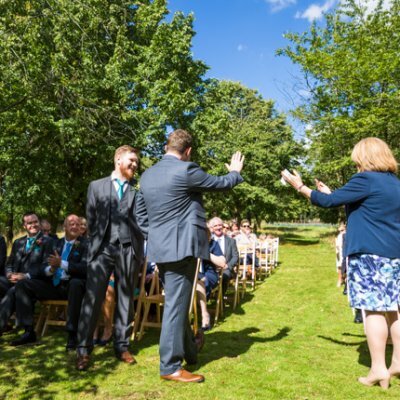 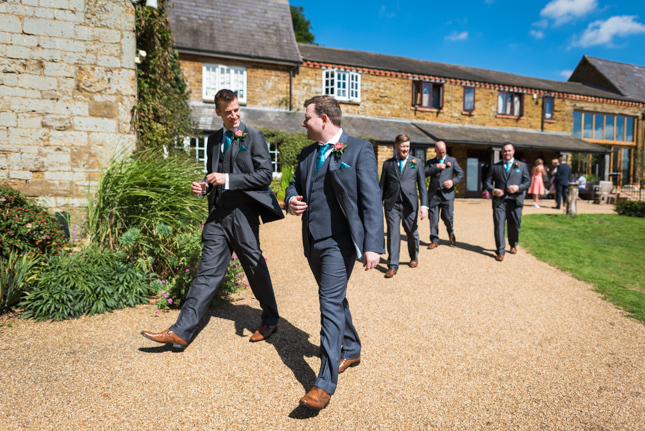 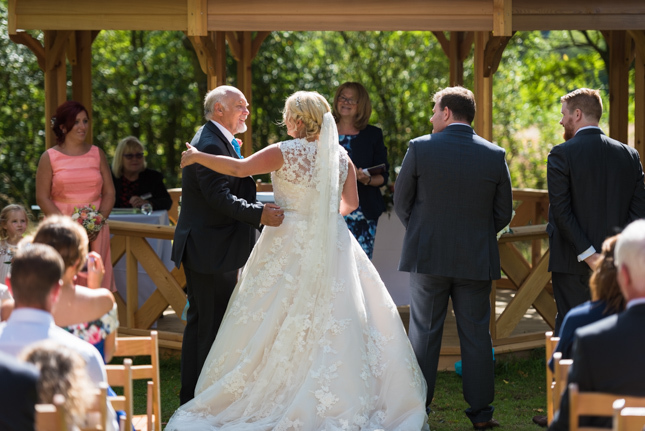 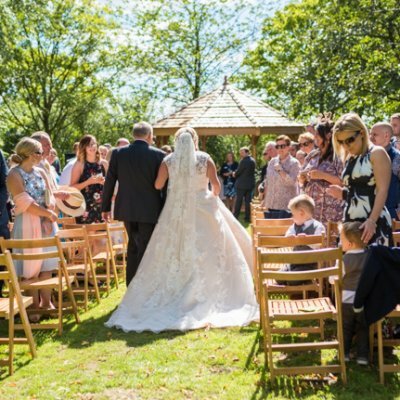 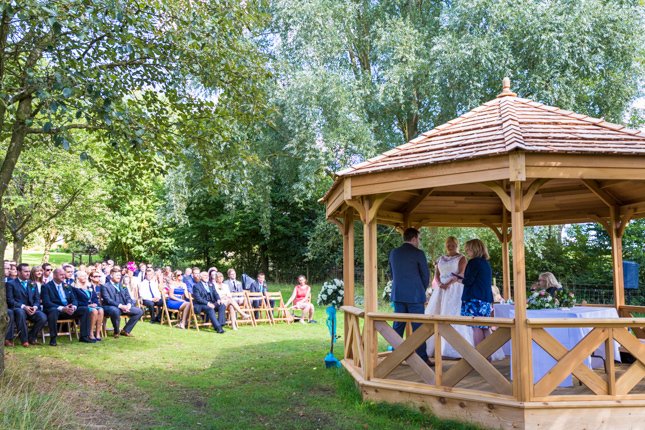 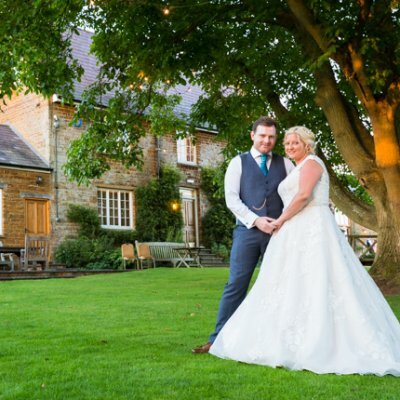 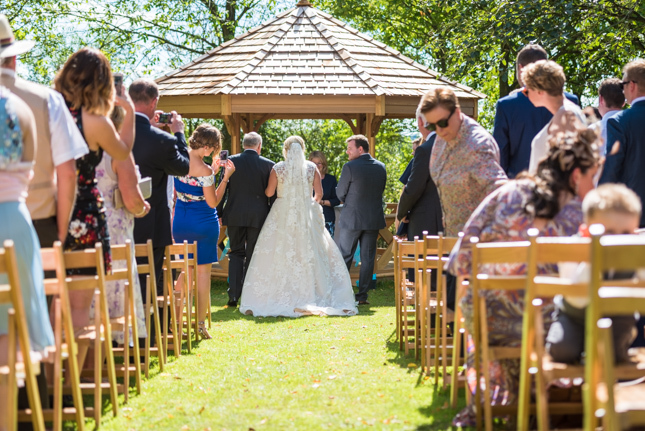 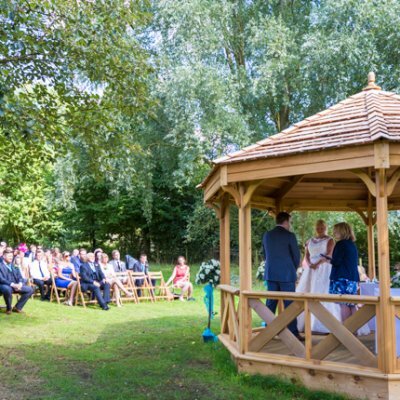 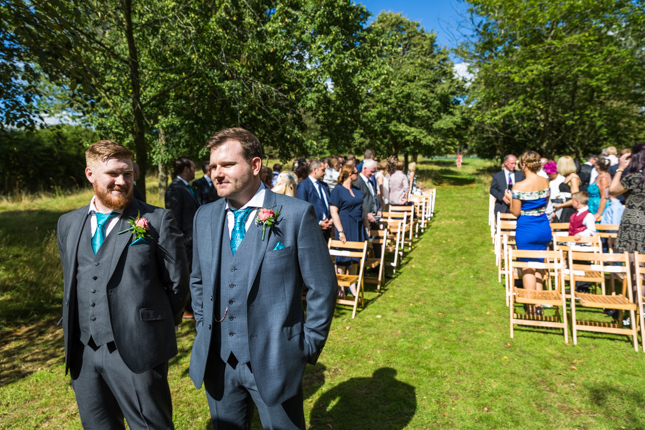 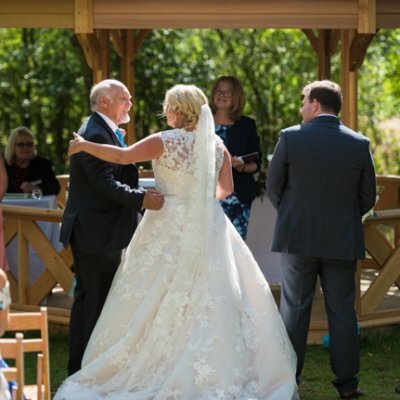 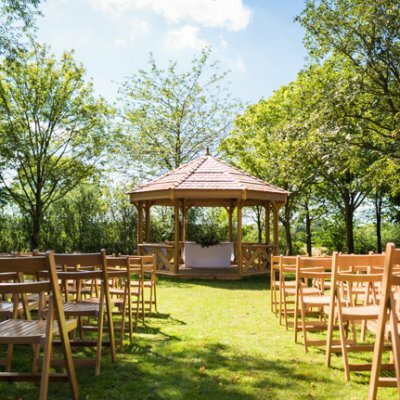 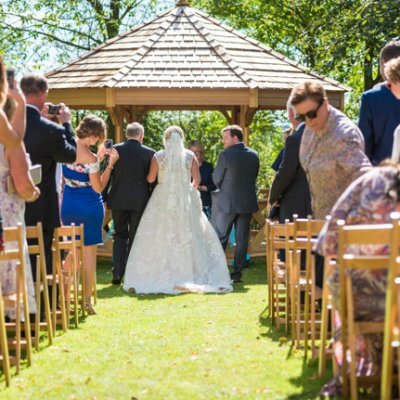 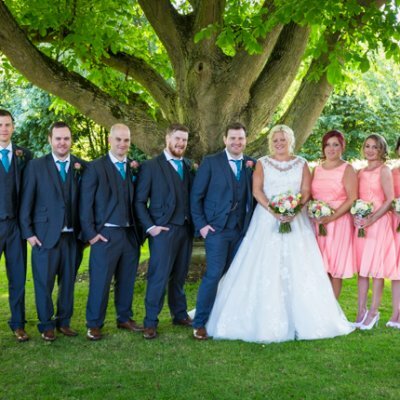 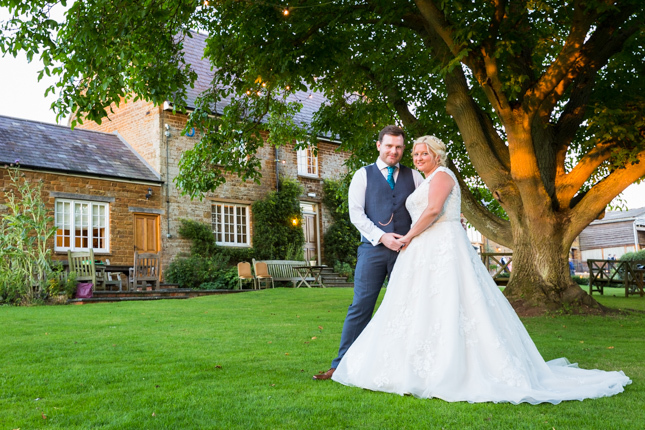 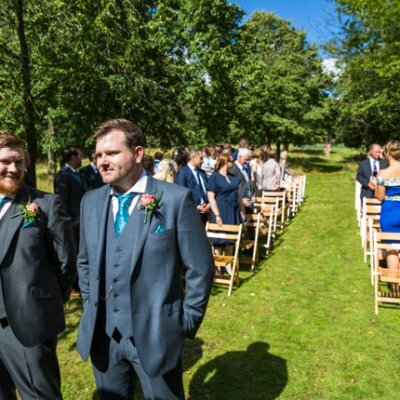 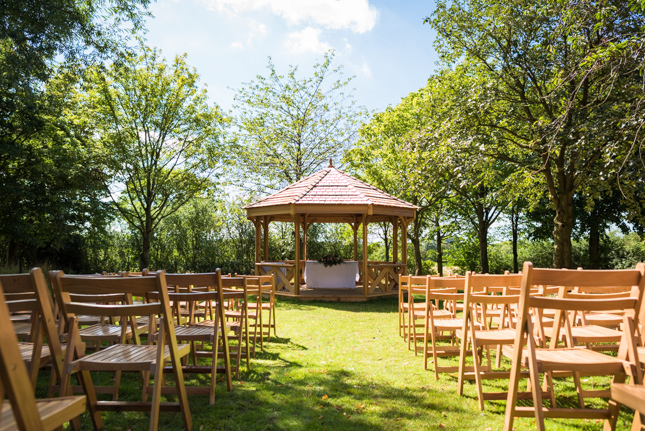 The weather was glorious enabling them to hold their ceremony outside in our brand new Orchard Pavillion which is now licensed for civil ceremonies. 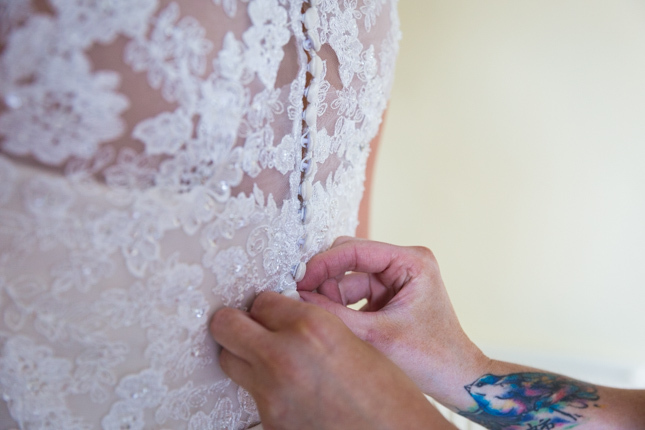 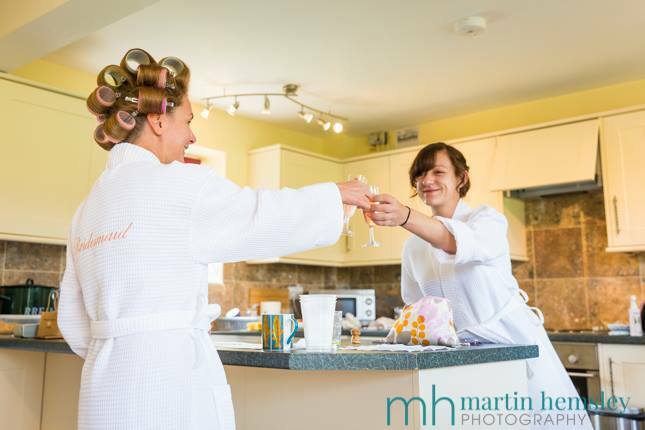 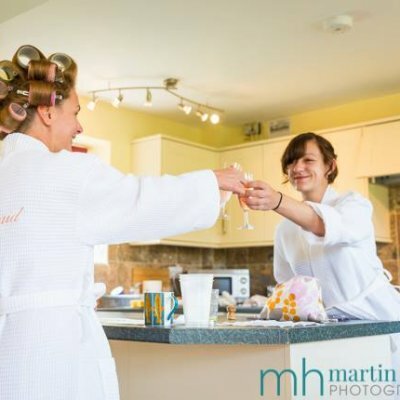 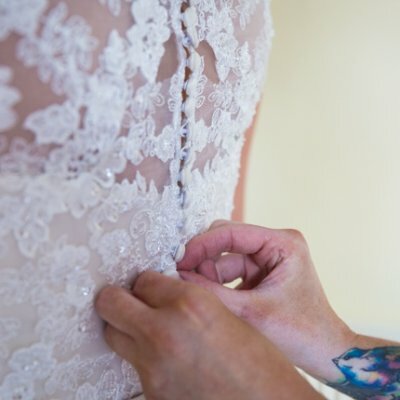 Emma prepared at East of Eydon cottage alongside her bridesmaids while Paul got ready for the ceremony here at Crockwell. 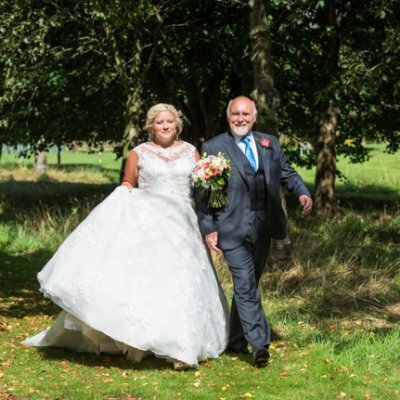 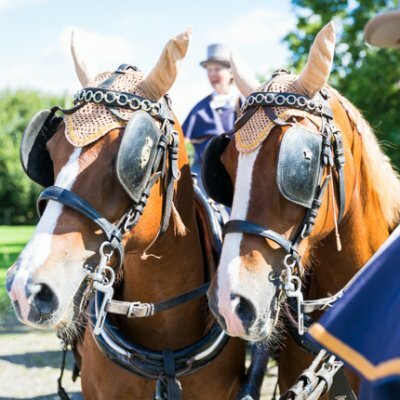 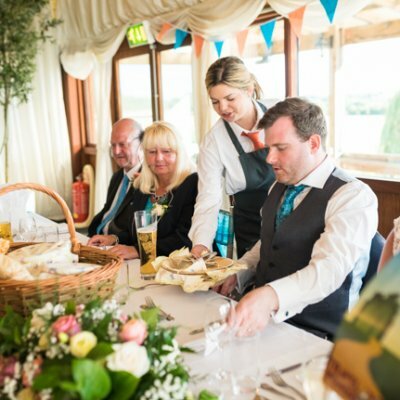 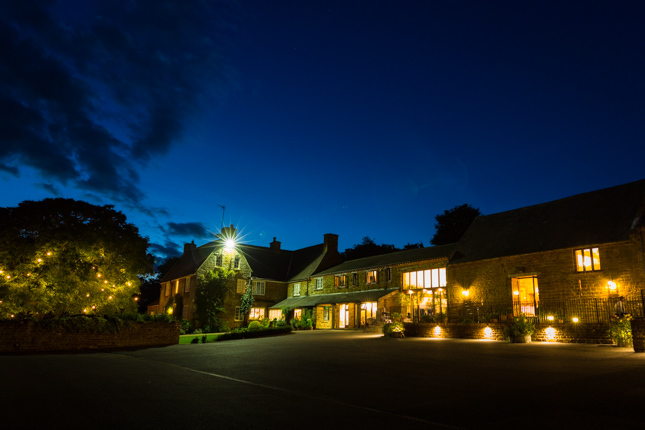 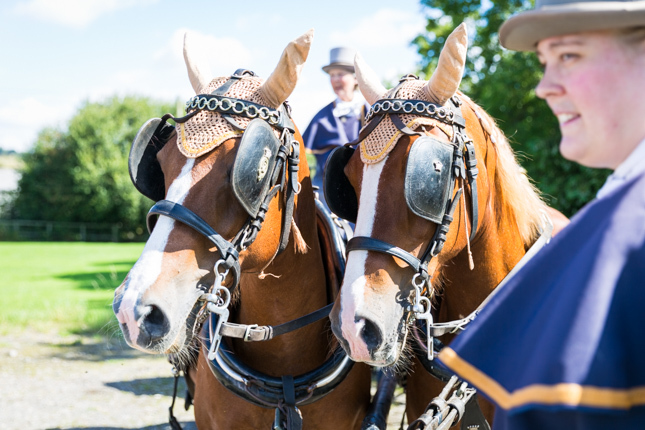 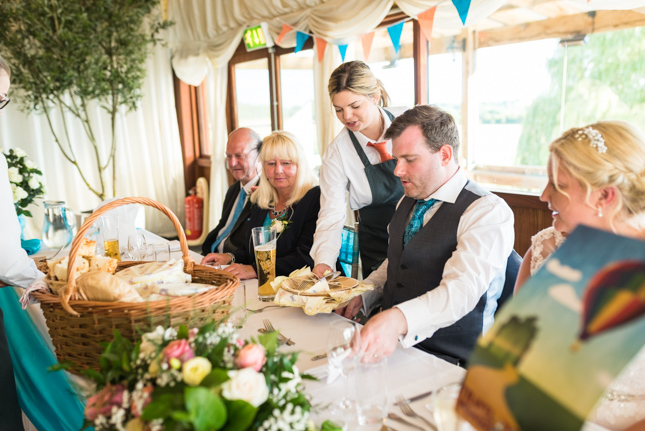 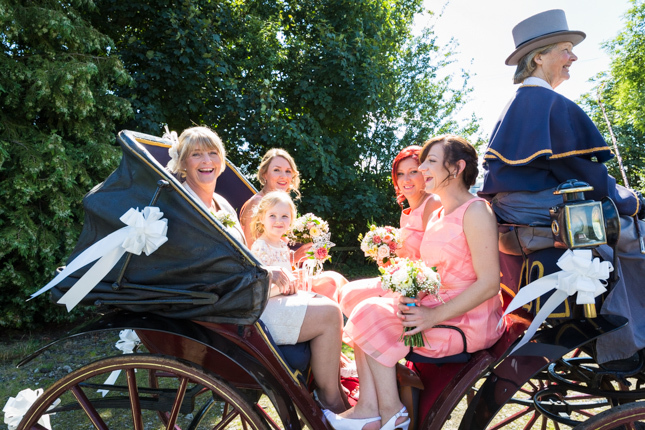 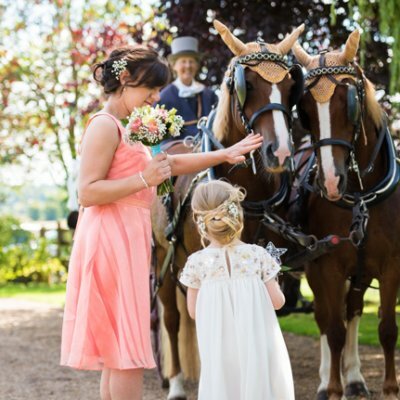 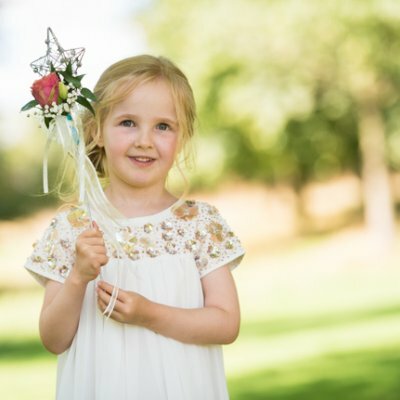 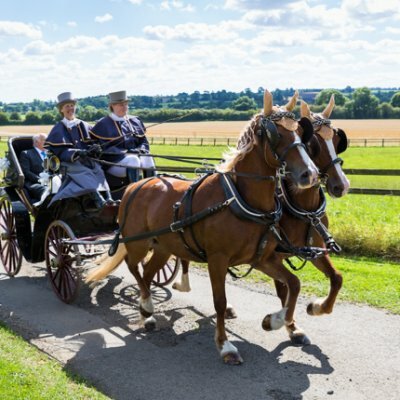 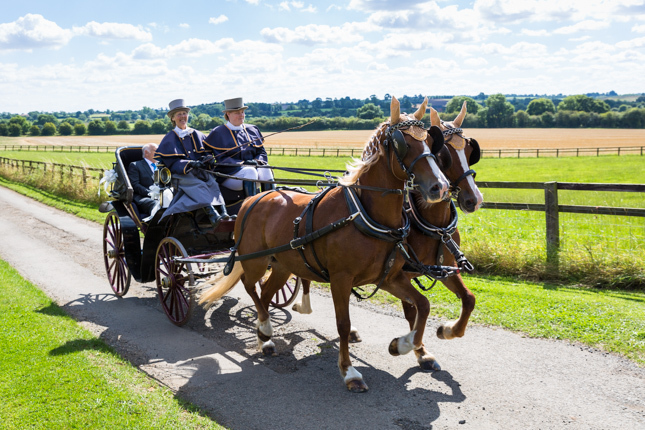 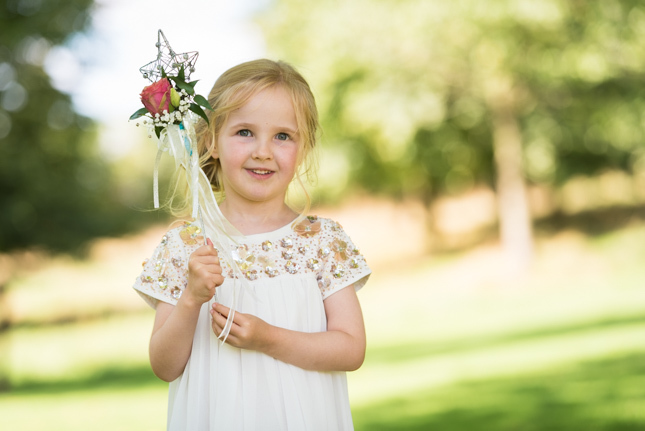 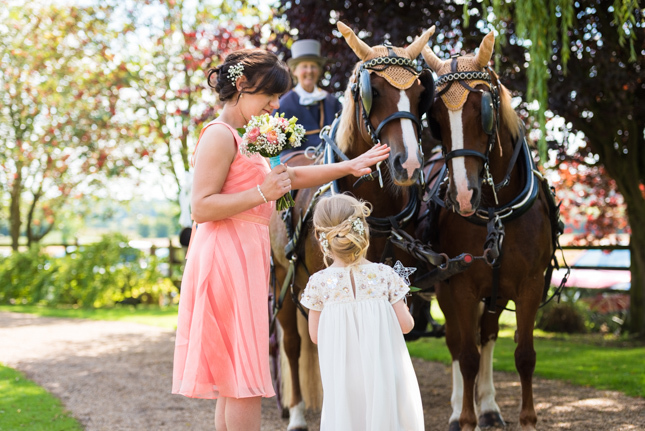 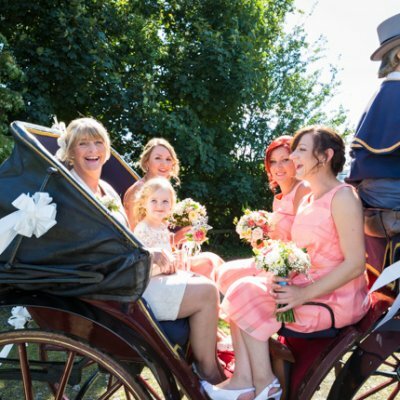 The bride arrived in a horse-drawn carriage and was walked down the tree-lined aisle by her father, while dogs Khola, Nemo & Poppy were guests of honour. 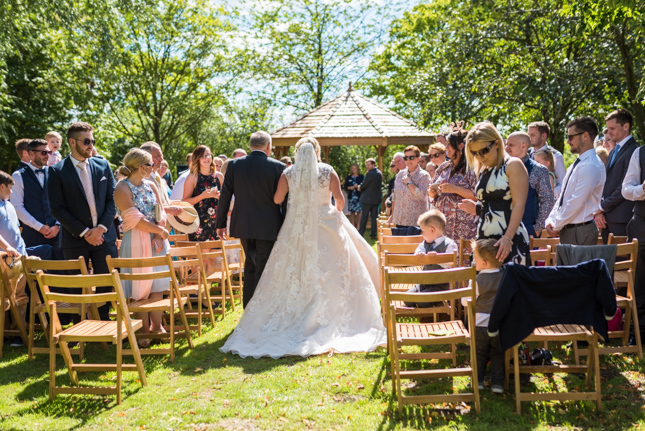 Guests enjoyed music from Taylormade in the garden with reception drinks and photographer Martin Hemsley captured the day perfectly.